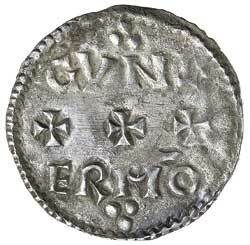 EDWARD THE ELDER, (899-924), silver penny, circumscription type, Mercia North East Mint (Stamford? 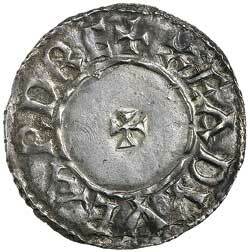 ), (1.63 g), Gunter moneyer, (S.1087, N 649). Toned, good very fine. Ex Matthew Rich Collection and previously CNG Auction 336, lot 465.